Fears that Pennsylvania casinos would skip out on online gambling due to sky-high licensing fees and tax rates were extinguished, as the Pennsylvania Gaming Control Board announced this morning that it has received nine Interactive Gaming petitions. For nearly the entirety of the 90-day application window, which began on April 16 and concluded on Monday, there were crickets, with nary a single casino seemingly willing to fork over $10 million for the right to support online casino and poker sites. 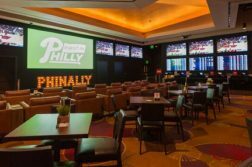 An eleventh hour push precipitated by Parx Casino, which submitted its application on Thursday, effectively flipped the script, ensuring that Pennsylvania will indeed have an online gambling industry, and a rather large one at that. Both Stadium Casino, license holder of the yet-to-be-opened Live! Hotel and Casino Philadelphia, and Mount Airy Casino quickly followed Parx’s lead, submitting their application on Friday. The inclusion of Sands Bethlehem may initially come as a surprise to some, as its owner, Sheldon Adelson, is a fierce opponent of online gambling, going so far as to back The Coalition to Stop Internet Gambling. 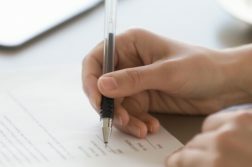 However, remember that Sands Bethlehem entered into a purchasing agreement with Wind Creek Hospitality in March, and as part of the deal, Sands was obligated to apply for an iGaming certificate on behalf of the new owner. Irony, it seems, is not without a sense of humor. All nine applicants will be required to submit a $10 million fee no later than 60 days after Board approval, meaning state coffers will take in a minimum $90 million before the first hand of virtual blackjack is dealt. In turn, operators will be able to support table games, slots, and online poker. Hard as it may be to believe, the eight-figure licensing fee represents a discount of $2 million. Had they waited until after the July 16 deadline, operators would have had another 30 days to purchase a la carte licenses for $4 million a pop. It is yet unknown whether the four remaining properties — The Meadows Racetrack and Casino, Lady Luck Nemacolin, Mohegan Sun Pocono, and Presque Isle — will purchase these individual licenses, although it’s difficult to see Churchill Downs, which recently acquired Presque Downs, not staking a claim. Mohegan Sun Pocono too, is a probable candidate for at least the two online casino licenses, as it already operates an online casino site in conjunction with Resorts AC in New Jersey. Plausibly, it held back because Mount Airy Casino is already paired up with Resorts’ online poker partner, PokerStars. Without a strong partner of its own, the prudent move may have been to spend just $8 million on licenses, saving a couple milly. The Meadows is owned by Penn National, operator of Hollywood Casino. Given the fact that Hollywood Casino is the more prominent of the two brands and that PA iGaming sites are allowed to support unlimited skins (with caveats), Meadows’ omission is not that surprising. If there are any leftover licenses by mid-August, qualified outside entities will become eligible, opening the door for international operators like Betfair and out-of-state ops such as Golden Nugget Casino to infiltrate the industry. Um, how many poker sites? The high number of applicants for an all-inclusive license comes off as a little surprising, as it implies that nine casinos all have at least a passing interest in online poker. That might not work out so well. Sure, properties like Mount Airy — partnered with PokerStars — and Harrah’s, which will presumably launch a WSOP branded site, are on the fast track to success. Even Rivers and SugarHouse, which both fall under the purview of Rush Street Gaming, have a chance to carve out a sizeable niche, as their brands will be able to share liquidity with one another. As for the rest, the outlook is bleak. In neighboring New Jersey, only three online poker brands have been able to survive, and one (Borgata) just barely. Assuming that Pennsylvania enters into a liquidity sharing pact with New Jersey, Nevada, and Delaware, both WSOP and PokerStars will become even more dominant forces in the market, with other wannabes likely going the way of Ultimate Poker or Pala Poker. 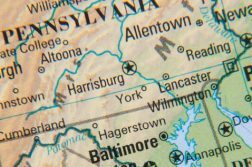 Granted, there is greater opportunity for online poker operators in Pennsylvania than in New Jersey, as its resident population is nearly 13 million, but that hardly means the industry will be able to support more than three players, let alone nine. Sports tax rate to stay? On a final note, now that Pennsylvania casinos have shown a willingness to shovel over $10 million for the “right” to pay a 54% tax rate on slots, it seems less likely that the state’s legislature will revisit the oppressive licensing fees and tax rate on sports betting. Currently, applicants will have to pay the same $10 million fee for sports (which covers both online and land-based rollouts) that they would for a collective iGaming license. The tax rate on sports betting is currently set at 34%, which stands to be the highest in the nation so far. If the events of the past few days are any indicator, it looks like casinos will bite the bullet on sports betting, and worry about how to actually turn a profit later.